It seems kids don’t hate maths anymore. Now they hate … English! A recent chat with a friend’s daughter, Abby, helped me understand. Abby told me that she hates English because she hates writing. I’ve heard this before. But why? Trying to get to the bottom of it, I ask Abby, ‘But you like reading right?’ Oh yes! What’s your favourite book? Well … a small shy tilt of the head …well that would be Smooch & Rose. My heart melts. Abby likes my book. She’s read it three times. 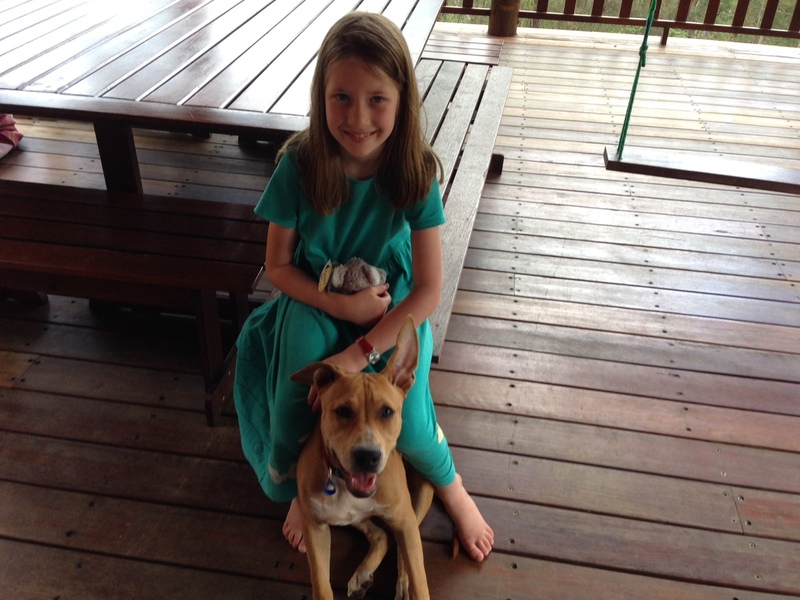 She wants to be a wildlife carer when she grows up (like Rose). There’s no second option. Wildlife carer or nothing. She makes me smile. Other favourite reading titles include the National Geographic for Kids magazine which comes out every month, and of course, other animal books. Her favourite animal is the cheetah, because it is the fastest runner in the world. She’d like to go to Africa to see one in the wild one day. So why do you hate writing Abby? A pause. I prefer to draw, she says. Here’s the picture I’m drawing at the moment. Abby shows me a picture of a girl with stars in her hair. She’s gorgeous, wouldn’t you like to write about her? A tiny shake of the head. But say you did decide to write about this girl, and she had the job of telling all the kids in the Australia how to help koalas, what would you write? Oh, that’s easy. I would write that people should car pool to save carbon emissions, and people should drive more carefully at night so they don’t knock koalas over. They should definitely lock their dogs up at night … a pause while Jazzie, the 6 month old family puppy breaks inside and nibbles our plate of bikkies … and they should tell everyone how precious our koalas are. Great! I say. There you go, you could easily write all that! Abby smiles and doesn’t look convinced. I think I’ve cracked the problem. Our kids are getting stage fright. They worry what they have to say might not be polished enough or exciting enough, so they get scared and resist putting words down on paper. After all, their world is full of amazing entertainment. What on earth could they possibly say of interest to anyone? By the way, Abby’s favourite colour is yellow and she loves ice-cream. Posted in Interviews, Life, Parents, Smooch & Rose, Teaching, Wildlife, Writing and tagged Naplan, narratives, parents, teacher, Writing. Bookmark the permalink. Can anyone make a difference? 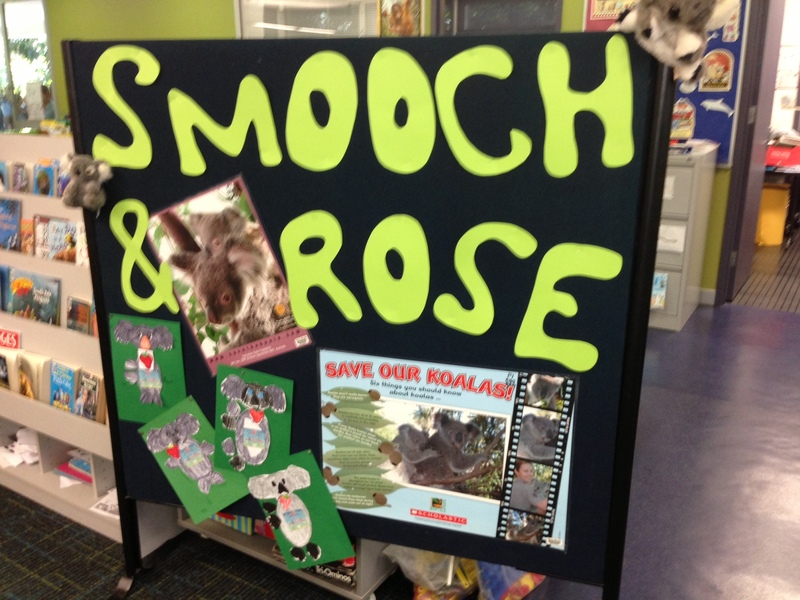 I’ve been privileged these last few weeks to speak in some local schools about koala conservation while talking about my book Smooch & Rose. What a delight it has been! I have attended koala consevation meetings and read articles about the rapidly falling numbers of koalas in SE Queensland, and I often find myself in a state of despair about the fate of our furry little friend. But after my recent school visits, a tiny ray of hope has broken through the gloom. Not only have the students I’ve visited been well informed and enthusiastic about wildlife conservation, they are encouraged to embrace this passion by their wonderful teachers. When I ask students about what is killing our koalas, they know the answer. Habitat destruction, disease, dog attacks and car fatalities. Over 16,000 koalas have been killed in the last few years, which is way too many. Students as young as seven have great ideas about how to prevent these unnecessary deaths and they are confident and optimistic with their views. This confidence comes from great teaching. So thanks to the teachers and parents of our next generation. Thanks to you, I am starting to feel hopeful that our koala may have a future. If the students I’ve met these last few weeks are any indication, standing up for Australia’s favourite icon will be second nature to them. They haven’t lost their way about what is important and as one boy put it, ‘we need koalas because they make us happy’. Yes they do. Like many things in nature, koalas can’t be quantified in dollar terms or by a list of their useful products. Koalas make us happy and our children’s children need to have them in their lives. When I wrote Smooch & Rose, I hoped that the message ‘anyone can make a difference’ would stick. I’m starting to see it will. I just hope it won’t be too late. Posted in Life, Parents, Smooch & Rose, Teaching, Wildlife, Writing and tagged conservation, koalas, schools, students, teachers, wildlife. Bookmark the permalink.